1. Complete the Seller Information Sheet and return it to us as soon as possible. Email or fax to Rebecca McArthur. 2. If you are not a resident of Georgia please request Seller Gain Tax information to discuss with your accountant and return to us as soon as possible. 3. Email us if you would prefer to have any proceeds wired to you rather than receive a check at closing. 4. We will provide a Settlement Statement with your final numbers once we have pulled together all the necessary mortgage payoffs, property taxes, HOA payments, invoices, real estate commissions and other items. If you will need to bring funds to closing, please contact Rebecca McArthur for specific wiring instructions and be sure to leave adequate time (24-48 hours) for the funds to reach our account. If the necessary cash to close is less than $2,500.00 you may bring a personal check, made payable to Hodge & Temple, PC. Note: the check cannot be made out to yourself. Let us know the individual who will be attending the closing and signing on behalf of the business or LLC. You must be in good standing with the Georgia Secretary of State. Provide your operating agreement or corporate resolution if this is your first closing at Hodge and Temple, PC. Be sure to bring your corporate seal to closing if necessary. Let us know the individual who will be attending the closing as executor or executrix. Let us know about the probate of any Will or proceeding so that we can determine if there will be additional legal work necessary to transfer the property. Provide a copy of the Trust Agreement. 8. Bring a valid form of photo ID (i.e. Driver’s License, Passport). 9. Inform us if you cannot attend closing and will need a Power of Attorney. We can only accommodate a mail out in rare circumstances, and this is an additional fee. If you have an existing mortgage(s) on the property we will order your mortgage payoffs. If your property is part of an HOA, we will contact the HOA for clearance documents. We keep in contact with your agent to keep apprised of contract changes. 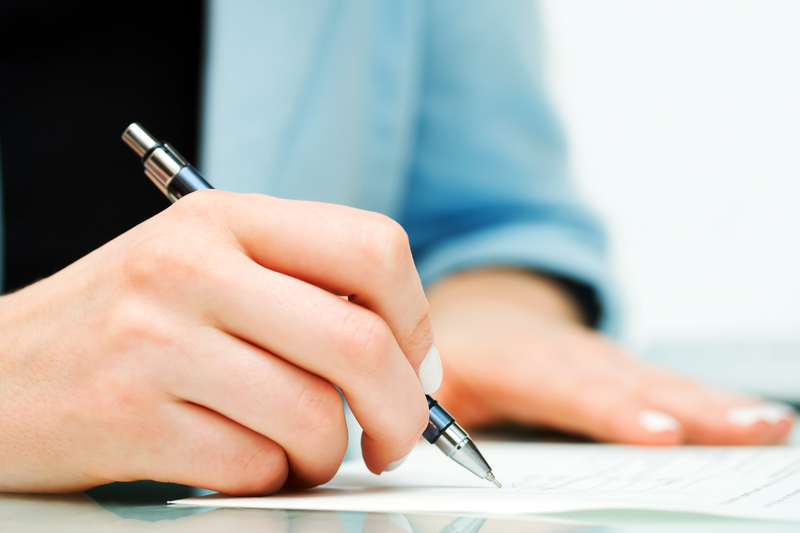 Prepare any necessary original documents required for closing such as a Power of Attorney or Deed. We review the title and surveys, and we prepare the settlement statements and closing documents. Finally, we sit down with you on the day of the closing to make sure you understand and agree with all of the figures from the settlement statement.